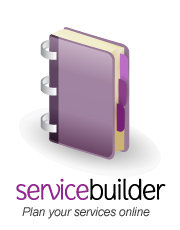 How important is the structure of a service? What elements should we include in our planning to make sure that the congregation is properly 'fed' and matured? How may an order of service and its contents glorify God and contribute to the edification of the church? How should we plan and lead services? What is the best way to incorporate the contributions and ministries of others? What should be our aim and attitude in leading the gathering of the church? As noted in the Biblical Teaching section of this website called Encountering God Together, our intentions and actions need to be shaped by God's purpose in gathering us. The following sections seek to answer these questions from biblical, historical and pastoral perspectives.